Jesus freaking Christ! I went through 2 boxes of tissues reading this novel. I don’t think I cry this bad when watching Meet Joe Black, and that’s one of my top-tear-fest activity!! Wow. I’ll be completely honest with you, the first and foremost reason this was so emotional for me is I could very, very easily see me as Ann, and I could see a lot of someone I knew in Connor – and we’re talking a lot of similarities here, a shocking lot of them. So it was more of an emotional ride then I’d have thought initially, and I went in prepared for waterworks because of the issues the novel deals with but I wasn’t prepared for those similarities. The only thing I wasn’t entirely hot about was the back and forth thing in time, as I’ve said a couple of times before, I just don’t feel that comfortable in time frames constantly switching back and forth. I saw the genius thinking behind it, and it worked, but I would have loved what I loved about the book just the same (or maybe more) if there would have been a single direction in time for events, it’s just one of my reader oddities. Because of the sequences of time, this read a lot like a movie to me, with the flashbacks and two timeline structures. In movies I find it less tiring, for some reason, but in reading there’s just something about it that I can’t go all the way with. The writing was absolutely beautiful, emotionally gripping and striking though accessible and comfortable. The plot was simple and amazingly striking because of it. We’re not talking explosions (unless we’re counting the decor of Connor’s appartment), helicopters and car chases. We’re talking about two wounded souls trying to make two wrongs, one bigger then the other, sum up into a right. I keep hoping from the bottom of my heart for that kind of math to work out that way, but I have yet to see it happen. The characters were, in my opinion, amazing. Complex, and torn, and so wounded and perfectly broken, vivid and complete. I rarely come away from a YA read with this sort of feeling, I’ll be really honest with you. They weren’t fun, or entertaining, they were gripping and haunting. Perhaps some of you will think, after reading this, that Ann was foolish to let herself get dragged into that sort of love/hate intense relationship – and perhaps she was. But let’s not forget that Ann was a kid suffering for her father’s loss and the complete loss her mom was at about it, she was deprived of the attention she needed and felt horribly alone in her own suffering. That’s the kind of set of circumstances that will push someone into delicate situations, a sort of recipe for possible disaster. If you want my entire truth here, I don’t even think Connor dragged her into a downward spiral, I think he just brought her in enough contact with her inner persona that she’d acknowledge the spiral she was on the verge of tumbling down on with or without him. Once in contact with that, I believe she finally managed to make a bit of sense of herself, and then make some decisions about it. Connor was that beautiful, broken soul that’s intense enough to completely grip you, but deep and dark enough to have you drowning in him, without being able (or willing, perhaps) to throw you a life-saver. At his core, I believe he needed that obsessive sort of attention that Ann was craving as well, and between the two of them one could play ultra-zoom-in for the other, taking turns. He just stopped taking his turn from some point onward. With people who have such abusive pasts, really deep relationships look like the only thing that could save them, but never seem to accomplish anything but turn into tragedies. My heart went out to him as much as it went out to Ann, possibly even more, and I’m ashamed to say I find it hard to see him as the bad guy much. But this might have a lot to do with seeing someone I knew in him so incredibly much. If I were to make a guess, I’d say Connor quite probably won’t live to see 40. This destructive spiral he’s on never really ends in a happy case scenario sort of way, when it does, it’s the exception to the sad rule. I felt relieved that Ann arrived to the conclusion she did, finally. Though I wouldn’t be surprised if after taking a break from him, she would someday end up right back at his side. If he’d love her enough, he’d probably make scarce, one way or the other. But that kind of connection that reshuffles the insides of your soul, and brings out the worst and best in you all the same, that kind of connection is not something you can really move on from. I can picture Ann having a functional relationship, a family, say 20 years from this story. And I can see her thinking back and remember Connor and having a sickening twinge in her heart about him every single time. I hope for all the Anns out there that they become strong enough, at some point, to cut that destructive, consuming, devouring connection with the Conners beside them. And I hope that after their Connors are gone, they’ll manage to feel emotionally fulfilled at some point, instead of crippled. I hope they’ll find their way to being happy, because I really hope after all that turmoil and drama there can be real happiness somewhere down the road, though the skeptic part of me finds it really easy to think there won’t be. This is a fantastic book. You should read it if you’re about more then giggles and sighs; it’s cool if you’re not, don’t get me wrong, but if you are, be brave and try this. It’s worth it, in my opinion, every single box of tissues you’ll go through will be worth it. 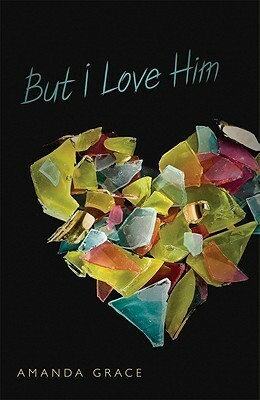 Read this book, loved it, didn’t like it? Have you read any good books about abusive, intense relationships? Share the titles, I’m feeling like self-mutilation enough to wanna read a bunch of them right now, lol.